Keep your willy warm with the Willy Warmer. There are cold nights ahead! No guy likes what happens to his willy and sack when the temperature drops. It’s a sad truth that even the healthiest of saggers can suddenly bunch up like pair of grapes when there’s a chill in the air. But good news, fellas! 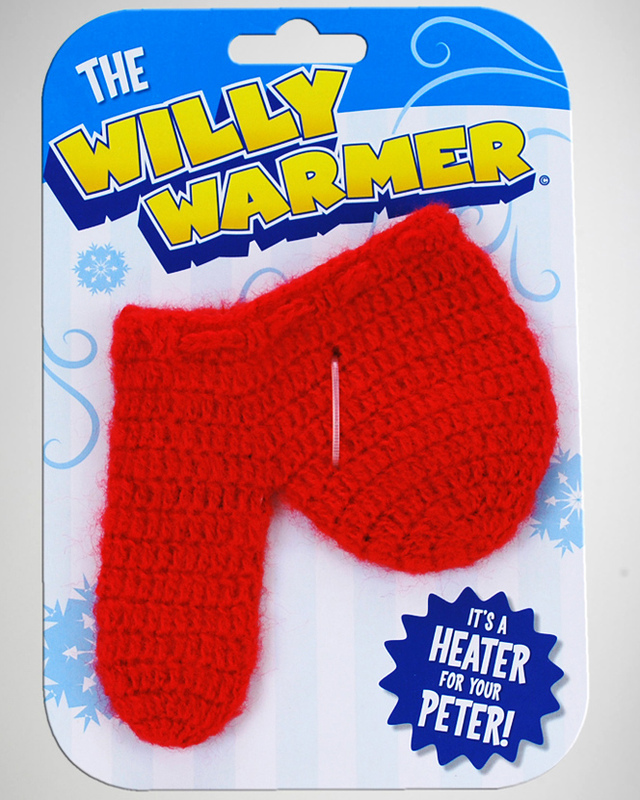 You can kiss those days of embarrassing shrinkage goodbye with the Willy Warmer. This one size fits all, well most guys anyway, keeps your twig and two berries warm and cozy as every guy around you shrinks like a wool sweater in the dryer. It’s the closest thing you’re going to find to peter heater, so strap it on and walk out into the cold confident in your manhood. One fear all men have is the emasculating shrinkage caused by cold weather. When we saw The Willy Warmer, we understood that not only would we be selling a great product, but also doing a public service. We’re saving the world one warm scrotum at a time.